The road to hell is paved with good intentions. In a bid to curb global emissions, the carbon credit scheme was introduced by the UN as an annex to the 1997 Kyoto Protocol. Apparently, this honestly good idea has backfired after some participants in the scheme, most notably from Russian and Ukraine, took advantage. Lack of international oversight means a couple of factories have turned in a huge profit while emissions have actually gone up to support the scheme. A classic case of perverse incentive or good idea gone bad. This time, at the global climate’s expense. Basically, each country that participates in the carbon credit scheme is awarded a carbon allowance, then each government body awards these credits to the participants: factories, manufacturing plants, renewable energy centers etc. 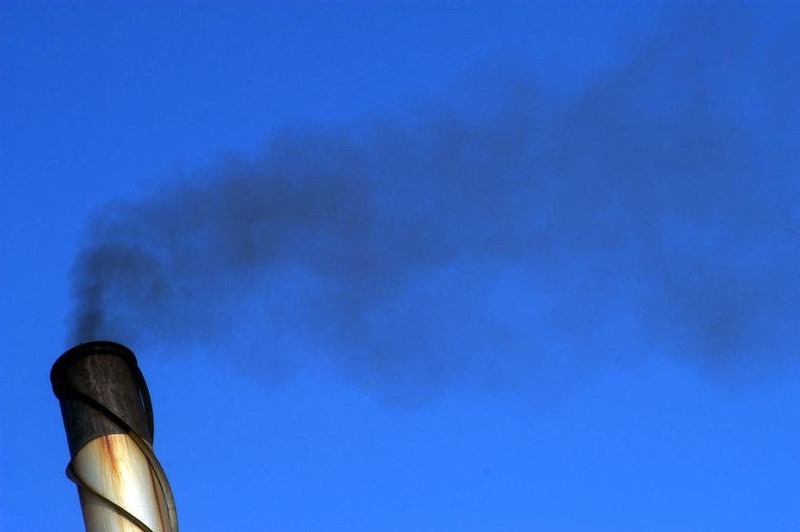 Say factory “A” in France is emitting one tonne of CO2 less. In this case, as a participant, the factory is awarded one carbon credit which can then be bought by factory “B” in Great Britain. This way, factory B can emit “business as usual” if it wants, but has to pay for this privilege. In time, this financial offsetting method should bring down emissions as countries trade carbon to meet their carbon reduction goals. It also provides incentives for businesses to implement energy efficient technologies which would have been otherwise prohibitively expensive. sequestrate carbon by capturing it at the source, then storing it underground. But some partners saw this as a business opportunity, and who can blame them? The perverse incentive was there, and now an investigation made by the Stockholm Environment Institute gives us a glimpse of just how far the carbon credit scheme has been skewed. The researchers looked at four plants based in Russia which are participants in the scheme. First, I need to mention that CO2 is just a base measure for calculating credits. If you reduce one tonne of hydrofluorocarbon-23 (HFC-23), which 12,000 times more potent at trapping heat than CO2, then you’ll receive a proportional amount of carbon credits in return. I’m mentioning this since some of the Russian plants in question emit unusually powerful greenhouse gases like HFC-23 or sulphur hexafluoride (SF6), which 16,300 times more potent than CO2. The Russian managers found that it’s a lot easier to reduce these sort of emissions than typical flu gases. So, for them, cutting HFC-23 and SF6 isn’t a way to contribute to a common goal – it’s a business model. What happens is they produce more of these emissions, then reduce them, gain credits, sell them and restart. One Russian plant increased its SF6 emissions at a rate of 16.3% right after it was accepted in the carbon scheme, a lot more than the historical 2% rate. Of the 863 million carbon credits issued so far under the U.N.-backed scheme, 54 million were generated by the Russian plants. If you consider a large portion of these credits are phony and that the partners who bought these credits chose not to reduce their emissions thinking they were offsetting instead, then what happens is you wind up with more carbon emissions. Another study published by the same authors found there were 600 million more tonnes of CO2 emitted had the scheme not been in place. More precisely, the researchers found 73% of the offsets generated didn’t meet the key criteria of “additionality”. “This means that these projects would have happened anyway without any carbon credit finance,” The BBC reports. Most of these credits wound up in the EU’s Emissions Trading Scheme. 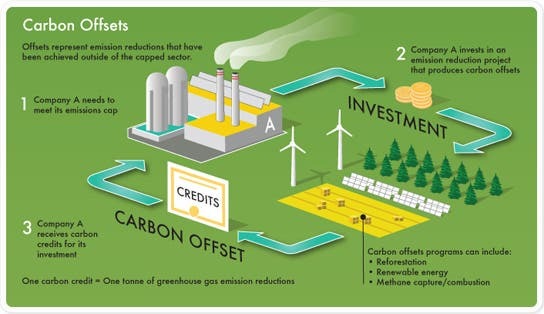 Because of the faulty credits, the EU’s emission reduction goal may have been pulled down by 400 million tonnes of CO2, or $2 billion at the current credit valuation on the market. On the bright side, not all stakeholders cheated. In countries like Poland and Germany the initiative was a sound success, with 70% credit integrity and a whooping 96%, respectively. That’s because these countries chose to strictly regulate who they let enter the market. It’s superfluous to mention just how disastrous this all sounds. But don’t discount offsetting through carbon trading just yet. It’s still a good idea, in theory. It’s just that there has to be very firm and strict regulations at stake. Most importantly, an international panel which is harder to influence through local politics needs to do most of the important regulating work, like deciding who can get it and who can stay.